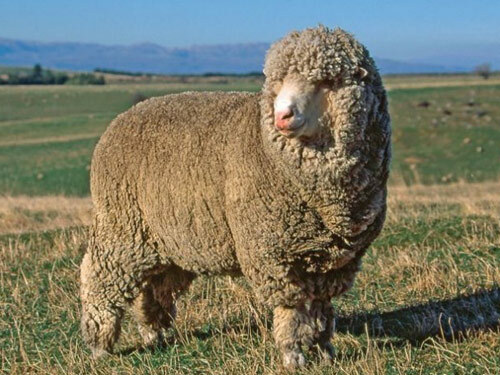 Polwarth sheep are a dual purpose sheep, developed in Victoria, Australia, in 1880. They are 75 percent Merino and 25 percent Lincoln. Polwarths are well suited to areas with improved pastures and are mainly found in the higher rainfall districts of southern Australia. They have been successfully exported to many countries, particularly South America where they are known as Ideals. Polwarth sheep are found polled and horned sheep with the polled types predominating. They are large framed, robust, and produces a high-yielding, soft-handling fleece of 22-25 micron fiber diameter. Much of the emphasis within the breed has been directed towards developing and improving the wool aspects.